Mary Mines 84, passed away from this life on April 12, 2018. She was born on January 19, 1934 in Denmark, South Carolina to Alafair and Malachi Mines, along with her sisters and brothers. Mary spent most of her life in a gospel group with her sisters. They were known to sing gospel music all around the south at the surrounding churches. She was educated at the local schools in Demark, South Carolina. Later, moving to Brooklyn and making a home there. Mary loved to dance and sing, she enjoyed singing even to her last breath. She was an amazing grandmother to all her of her grandchildren. She would give you the shirt off her back. She loved life. She didn’t judge a soul and she gave you unconditional love at no cost. She also loved her neighborhood and all of the children on the block affectionally called her Ms. Mary. Ms. Mary would call the children to her window and hand out popsicles. Ms. Mary will be missed by all who came to know her. 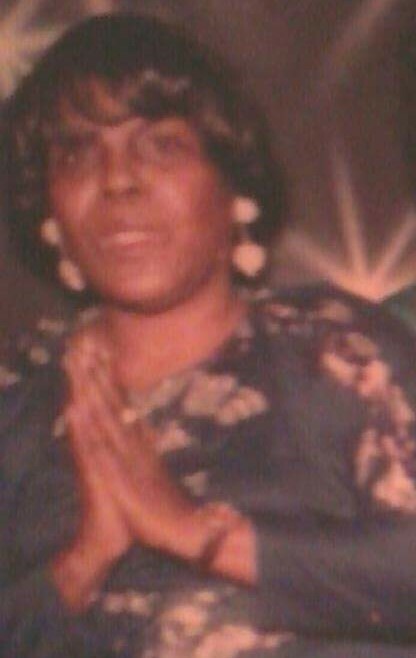 Mary is survived by her Daughters: Marjorie Mines, Denise Mines Son: Anthony Mines; Her Seven Grandchildren: Abdul Mines, Shar-ron Corley, Tamara Mines, Tashon Mines, Kimberly Nichols, Lamarr Green Mines, and Nikkia Green Mines. A Host of Great-Grandchildren along with many Nieces, Nephews, and Close Friends.